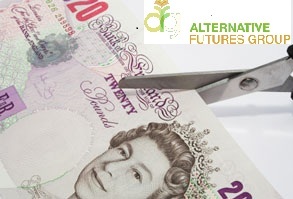 Social care providers, the Alternative Futures group has announced their intentions to implement changes to pay and conditions that will effectively mean a 6.45% pay cut for the workers. An anarchist care worker gives his view. Not content with forcing vulnerable adults into moves that they don’t necessarily want, Alternative Futures Group has announced its intention to attack the pay, terms and conditions of the ~1,800 support workers in its employ. In addition to lowering the hourly rate paid to support workers by up to 6.45%, the proposed pay structures may include a reduction in the bank holiday enhancement from double time to time and a half (at the new, lower hourly rate, of course) and a reduction in the amount paid for sleep-in shifts of up to 37.5%. AFG claims that it needs to do this in order to make up for funding cuts by social services, but continues to pay its top level managers six figure salaries, which it insists are “within normal market rates”. In order to justify these attacks, AFG have launched a sham consultation process, where appointed employee representatives attend meetings with senior management and ask questions, which management routinely brush aside or dodge. The minutes of these meetings are no longer available to employee representatives or support staff for undisclosed reasons. Unfortunately, there seems to be little prospect of Unison taking any action over this, as they have point blank refused to hold a ballot for action, despite having been completely shut out of the consultation process. If support workers at AFG want to fight against the slashing of our terms and conditions, it seems we will have to organise it for ourselves. Update: This post seems to have attracted some attention from AFG employees, if you work in social care and want to have your voice heard, e-mail us at socialcaretalk@gmail.com, any communication will be treated in the strictest confidence. I, as well as a number of other FWs, work in social care in South Yorkshire. I'm employed by another private sector firm but the story here is very familiar. It's indicative of the whole re-structuring of social care which has allowed local authorities to hide cuts to frontline services behind a smokescreen of the "competitive" operating practices of the various, smaller private sector firms that compete for council contracts. The economies of scale of these smaller firms forces a downward pressure on wages (that and they are converting unionised work into non-unionised work by taking it out of the local authority's hands). The real losers are the service users who have to bear the brunt of over-worked and over-tired staff. This is along with a lot more direct cuts to their activities (e.g. subsidies being cut to swimming, snooker and various other council subsidised services). Thanks for reposting this mate. AFG are a Liverpool based company, don't think they have anything in Sheffield. TBH I'm not sure whether the IWW are the way to go here, there's no real local presence afaik and a recruiting/recognition campaign would probably take time and resources that we don't necessarily have when there's an immediate issue of "sign or be sacked" contracts being issued in the near future. I'd be happy to be proved wrong, mind. UK based anarchist writing about whatever tickles his fancy.